Eva Etzioni-Halevy is the author of several previous books including Bureaucracy and Democracy (Routledge and Kegan Paul, revised edition, 1985); The Knowledge Elite and the Failure of Prophecy (George Allen & Unwin, 1985); and Fragile Democracy (Transaction Publishers, 1989). Part I: Elites and Classes: Bringing Elites Back In. 1. Why Class Theory has Overshadowed Elite Theory: A Matter of Coincidence. 2. Why Class Theory Should not have Overshadowed Elite Theory: A Matter of Democracy. Part II: The Autonomy of Elites and Western thought. 4. Other Theories: A Comparison. Part III: The Demo-Elite Perspective. 5. The Autonomy of Elites and Democracy. 6. Elite Autonomy Versus Co-operation and the Historical Development of Democracy. Part IV: The Autonomy of Elites and the Success (or Failure) of Democracy. 7. Stabilization Versus Breakdown of Democracy: The Cases of Britain and Germany. 8. Problems of Transition to Democracy in eastern Europe: The Cases of the Soviet Union and Poland. Part V: Meanwhile in the West: Problems and Potential of Democracy. 9. Elite Autonomy Under Siege and Problems of Western Democracy. 10. Social Protest Movements and the Potential of Western Democracy. 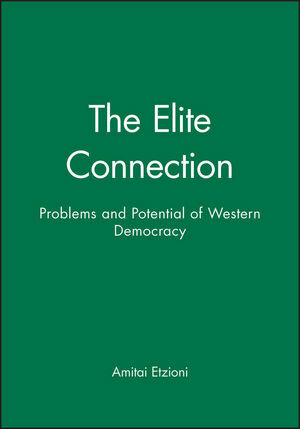 * The book highlights the importance of the autonomy of counter-elites of social movements in the move to more democratic and egalitarian Western democracies. * The author combines a liberal, democratic elite perspective with a progessive, egalitarian orientation.